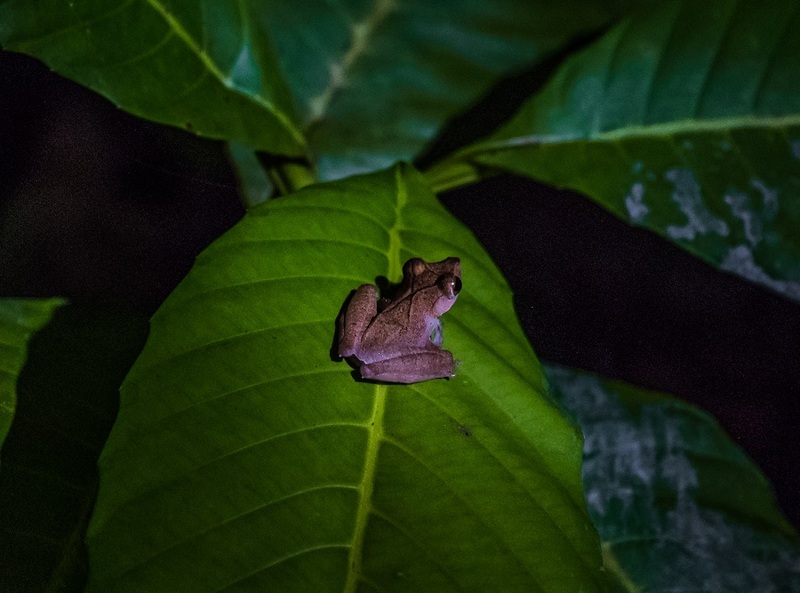 There are many reasons to visit Borneo, Malaysia and exploring the beautiful species the island has to offer is one of the top reasons. 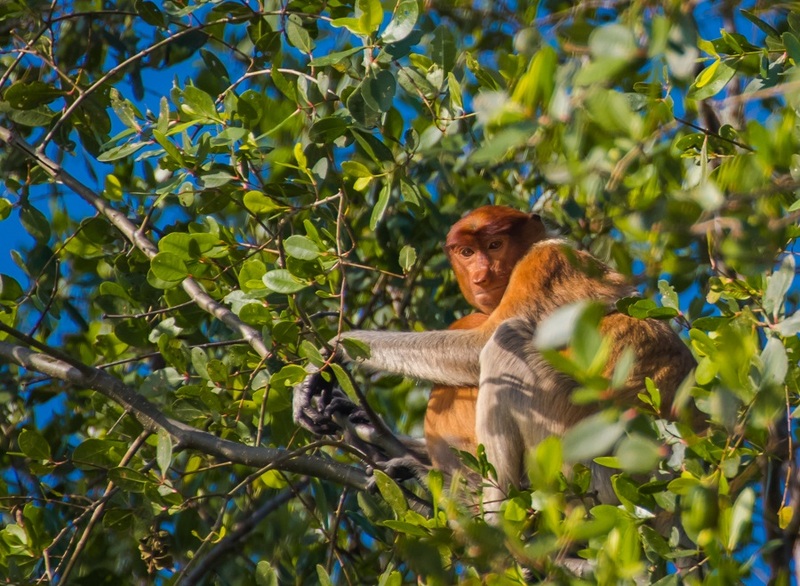 A visit to Borneo, Malaysia would not be complete without seeing the wildlife. 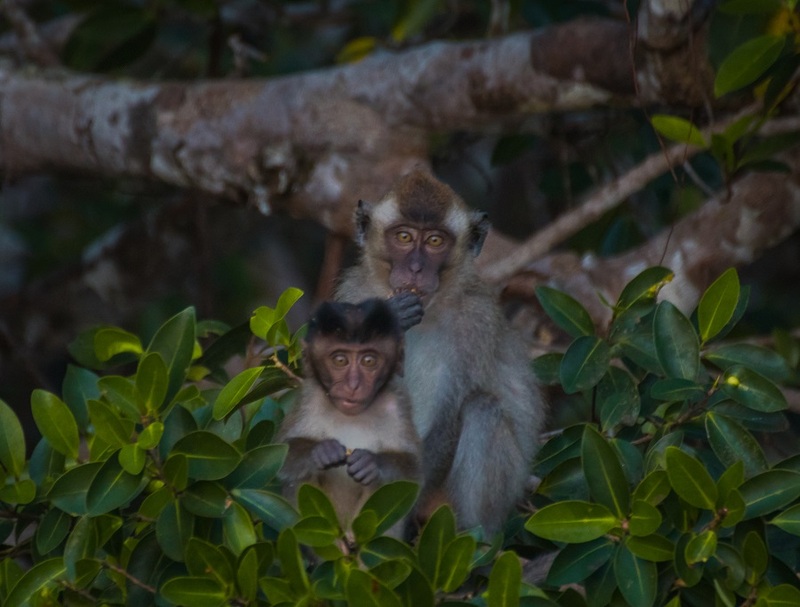 Being one of the world’s largest islands, Borneo is one of the most accessible in terms of seeing animals in their natural habitat. 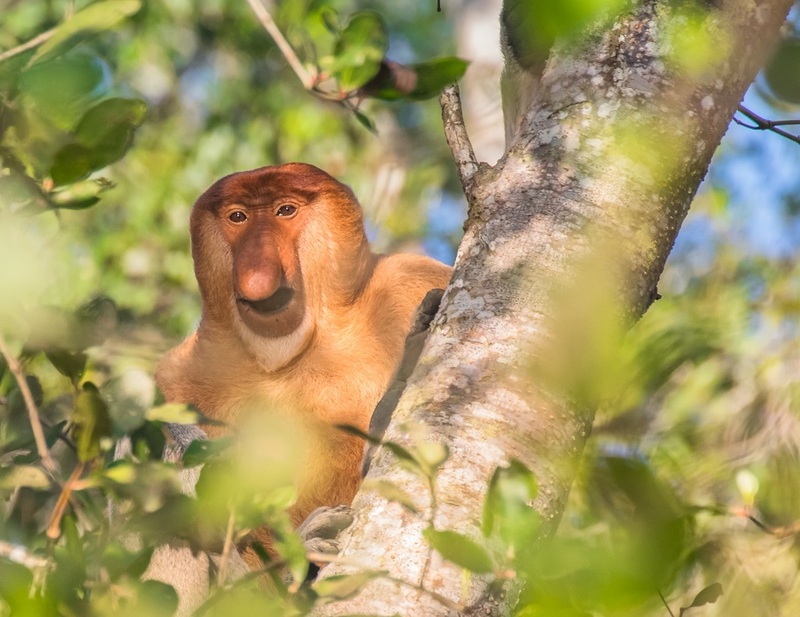 It is home to the proboscis monkey which is endemic to the island. I mean have you seen these creatures? The male’s nose can reach up to 5 inches (13 cm) long and they have 24-hour erections. Even writing that makes me laugh out loud. Closely resembling a creepy guy at the sauna, these monkeys are incredible to see in real life. 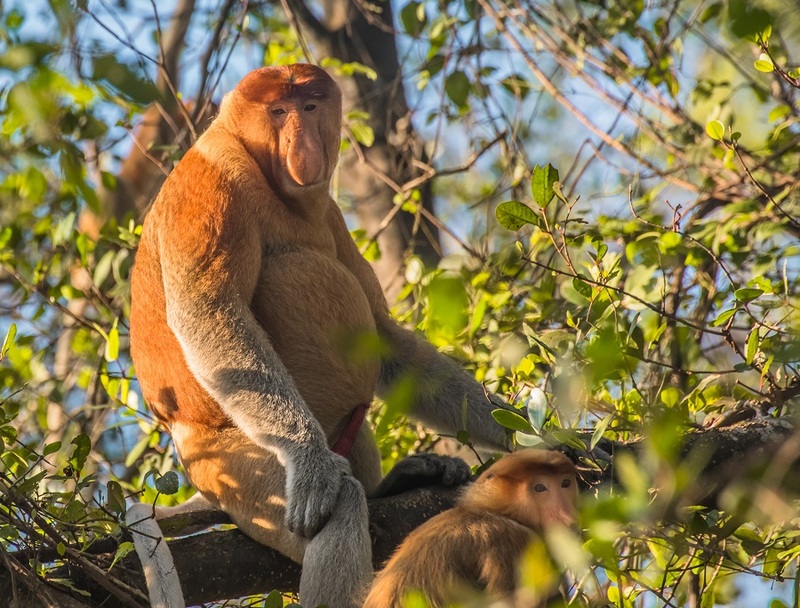 Borneo is also home to the Borneo orangutans, pygmy elephants, exotic birds, and crocodiles. 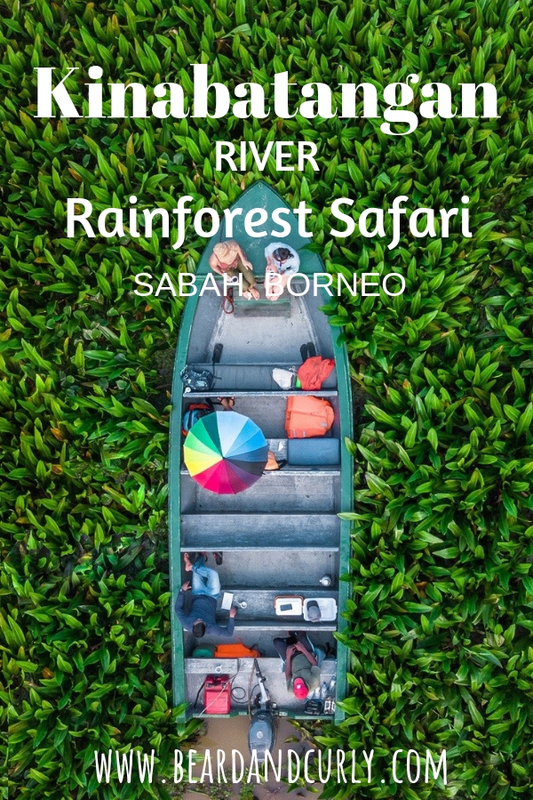 With several great areas to choose from, we decided to embark on a three-day Kinabatangan river cruise and stay in the jungle in the state of Sabah, northern Borneo. 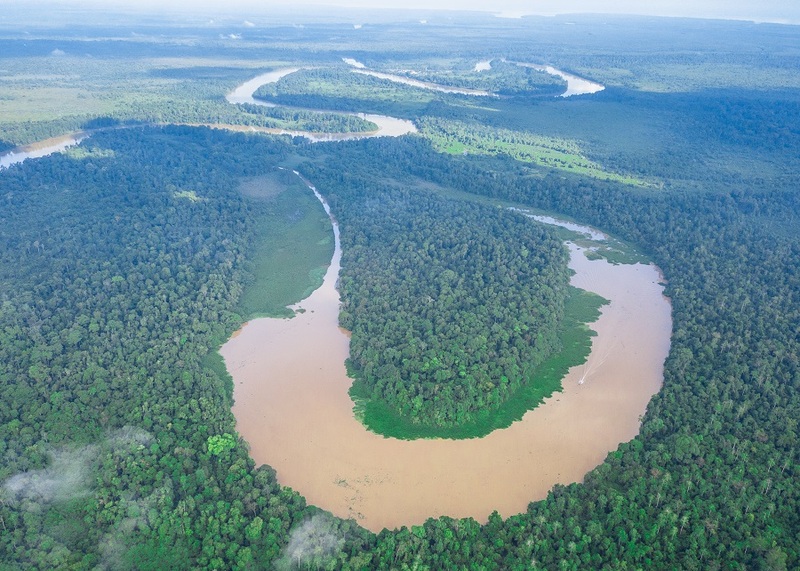 The Kinabatangan River is one of the most accessible diverse eco-systems in the world. 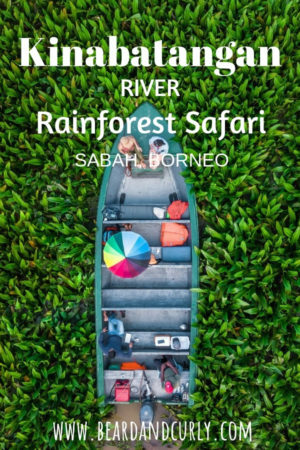 The river is host to several homestays and resorts for all budgets, making it perfect for a Borneo rainforest safari tour. 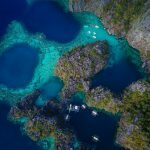 Sabah can be visited year-round. 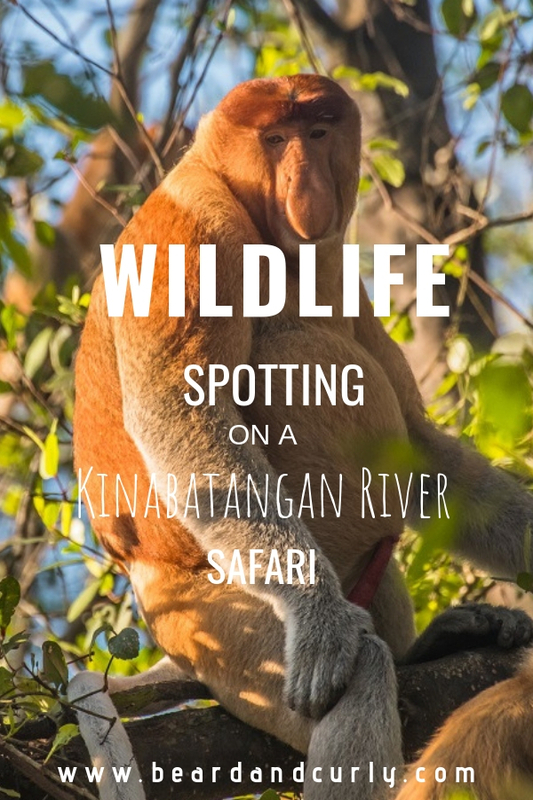 The best months to visit the Kinabatangan are during the dry season between March and September. The rainy season is from October through February. During this time the small river channels can be explored due to higher river levels. However, the rain can affect photography and the experience. I hate being out in the rain, but if it doesn’t bother you, then any time is a great time for Borneo tourism. 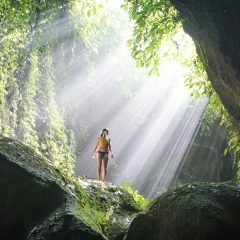 For photography, we recommend going during the dry season. The largest cluster of resorts and homestays are located near the village of Sukau. Resort packages typically include round-trip transportation from Sandakan. The transport is typically a car transfer through several large palm plantations followed by a short boat ride to your accommodation. 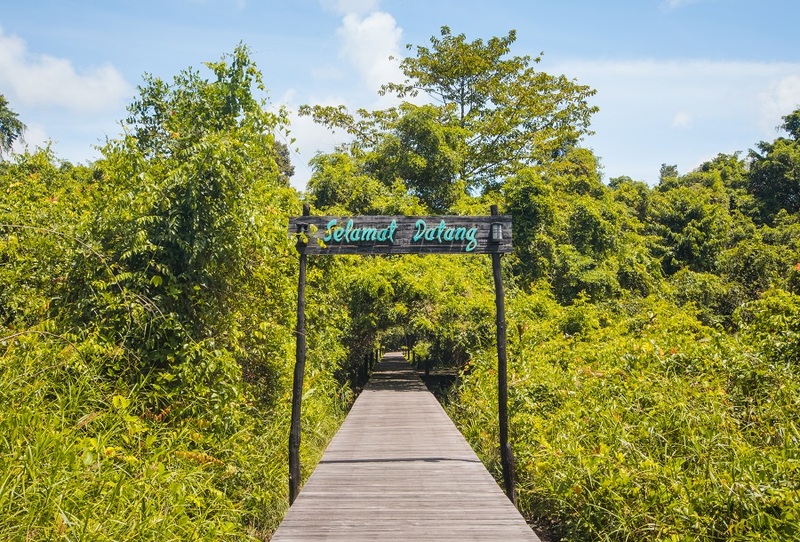 Some resorts are located down the river and the only way to get to the resort is by boat via Sandakan. We heard it is difficult to get to Sukau on your own, but after meeting several backpackers, it is possible. You can take a bus to the Sukau village junction (roughly one and half hours past Sandakan), then hitchhike to the village. Budget: Sukau Backpackers B&B has double rooms for 75 RM ($19 USD) or Osman’s Homestay which has rooms for 70 RM per person ($18 USD) including meals. Boat tours are available for purchase separately for 50 RM ($13 USD). 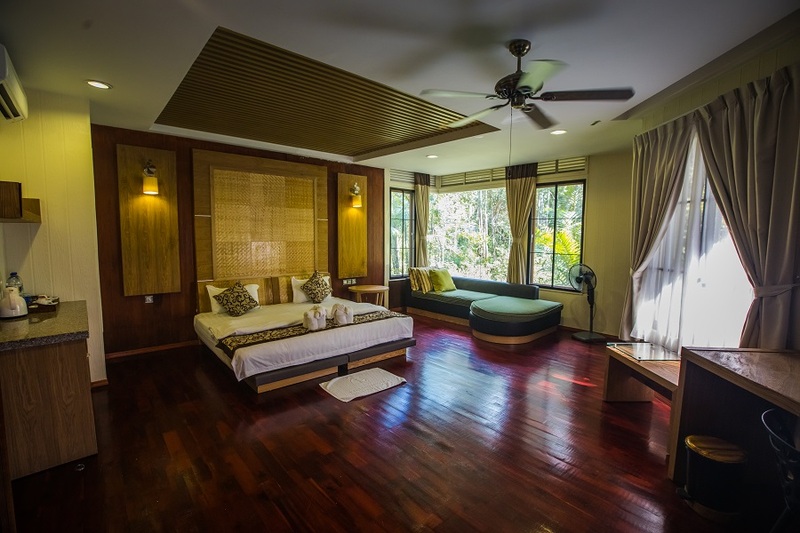 Mid-Range: Borneo Natural Sukau Bilit Resort has 3D/2N packages in dorm rooms for 600 RM ($150 USD) as well as several private room options ranging from 800 RM to 2,000 RM per person ($200 – $500 USD). High-End: Kinabatangan Wetlands Resort is a remote resort with excellent customer service and beautiful chalets. Chalets cost 1,350 RM ($350 USD) per person for the 2D/1N all-inclusive package or 2,075 RM ($550 USD) per person for the 3D/2N package. Upon arrival at KWR, we were greeted with a welcome drink and cold towel to rinse our faces. The hosts all introduced themselves, and we went straight to lunch. The long walk through the wetlands on the boardwalk is beautiful. It is the perfect place for a photo shoot. We were very satisfied with the food, which accommodated Yana who does not eat meat. The food was very tasty, and it was mixed up each day. There currently are only 10 chalets at the resort, each massive. They feature king size beds, a lovely couch along with a full set of windows, a clean and modern bathroom, indoor and outdoor showers, and an outdoor patio. While wildlife is the main purpose of the trip, the resort made the experience truly unforgettable. The resort manager JR was a fantastic host with a team that provides top-notch customer service. They went out of their way to make sure everyone is comfortable and really listened to the things we wanted to see. JR was great at understanding photography and tried to find the animals in the best lighting. The resort is growing and in 2018 it will add another 6 chalets as well as a swimming pool. The resort was amazing, and we could have just lounged around all day. However, wildlife is the main draw to the Kinabatangan. Pygmy elephants roam the forests and graze near the water’s edge. With some luck, orangutans are often spotted. 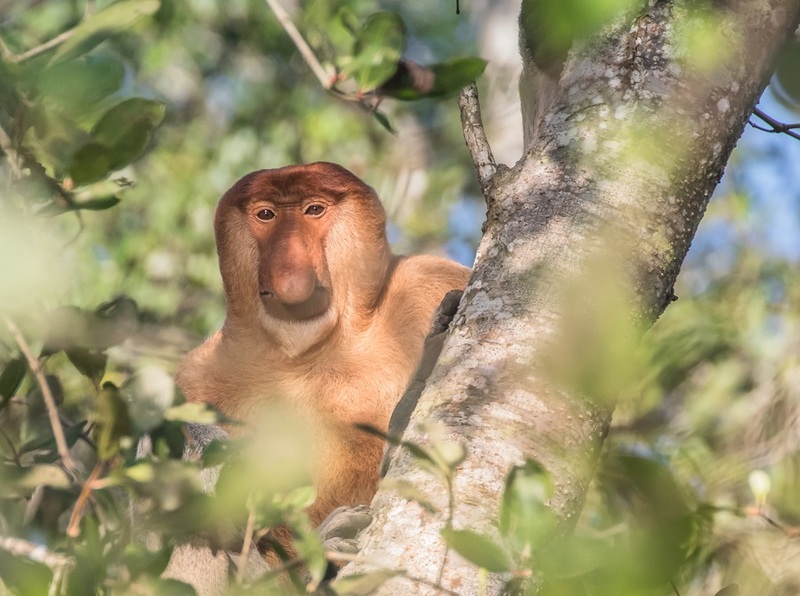 Proboscis monkey and long-tailed monkeys have large populations around the Kinabatangan with nearly a guaranteed viewing. 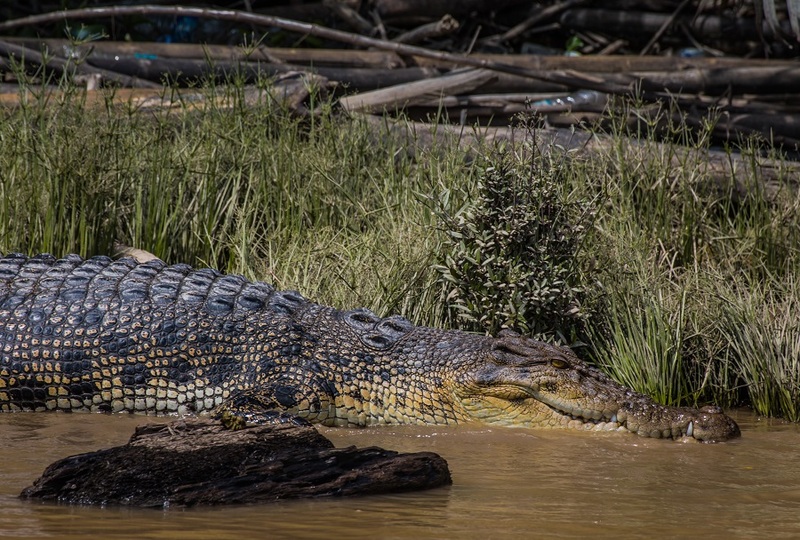 There are lots of other wildlife animals, such as exotic birds, crocodiles, snakes, and otters. 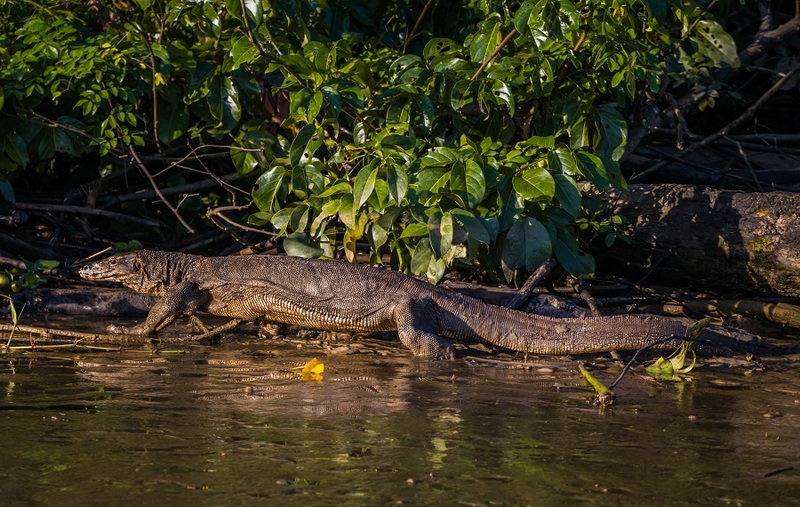 It is debatable whether the wildlife is better for viewing up the river near Sukau or further down the river in more dense forests. 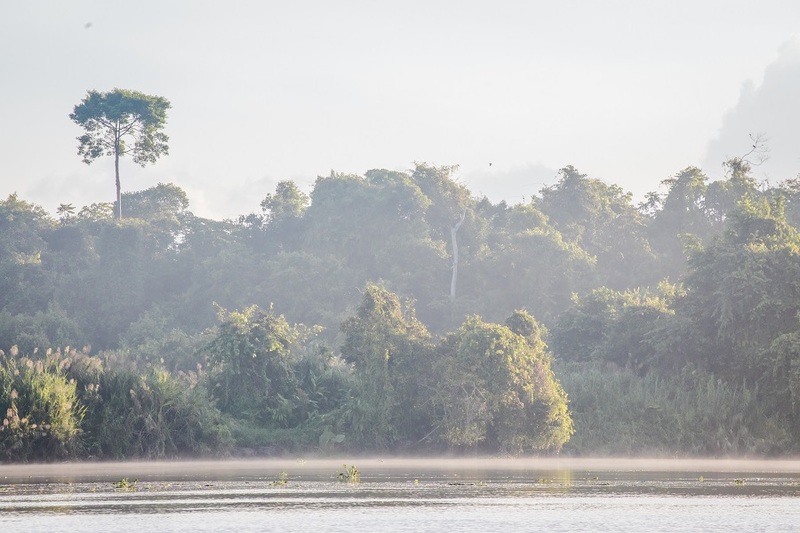 The elephants are known to graze in both locations, so depending on where they are, it could be a 15-minute boat ride or an hour and a half just to try to find them. They were downriver when we went, so it was very close to our resort, and some resorts near Sukau made the journey down in search for the Pygmy Elephants. 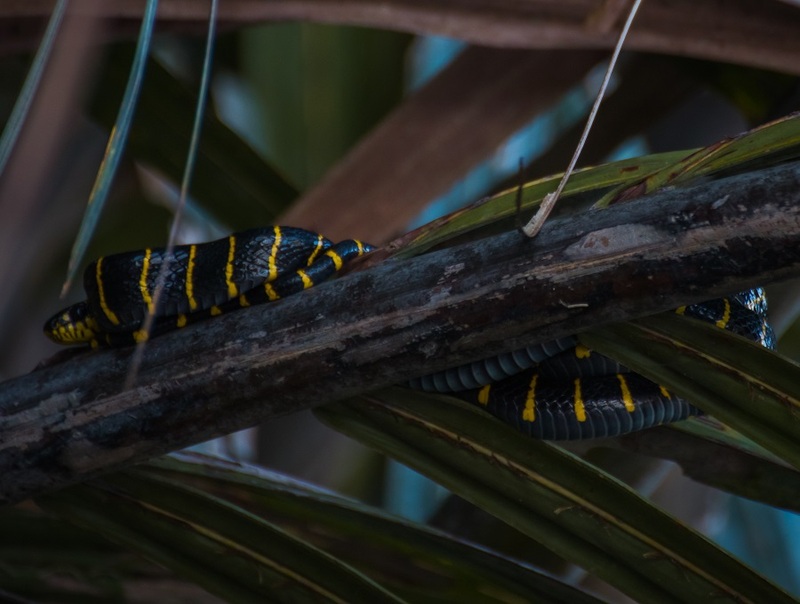 Because Sukau is surrounded by Palm plantations, the wildlife congregates near the water as it is the only forest left. Downriver, the forest is dense and the wildlife animals come and go as they please. One place is not better than the other, but an obvious advantage to staying down the river is the lack of boats. We were the only boat when spotting wildlife and only saw a few other passing boats. Upriver near Sakau, there may be a dozen boats all spotting the same wildlife, making it difficult to see or get pictures. Enjoying a coffee break on the boat! Most resorts range in price from 300RM to 1,200 RM per person for a 3-day package with luxury options ranging up to 3,000 RM per person. 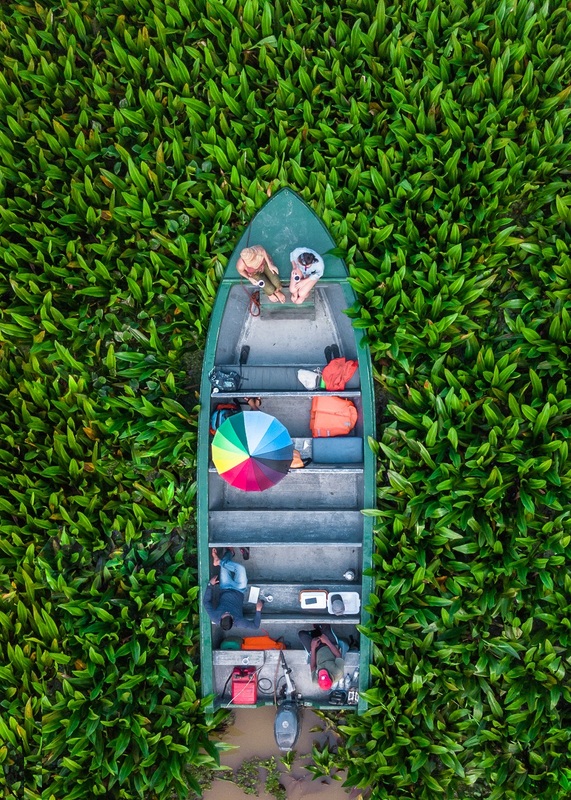 There is a variety of options such as dorm rooms, homestays, and luxury resorts all of which typically includes two or three-day river cruise packages. Staying at the KWR for a 3-day package costs 2,075 RM ($550 USD) per person, including all the below items. To book a room at KWR, please contact them by email or by phone +6012 817 3113 (Sheng). You can also send a message through their website. Not included are air tickets, alcoholic beverages, travel insurance and tips. 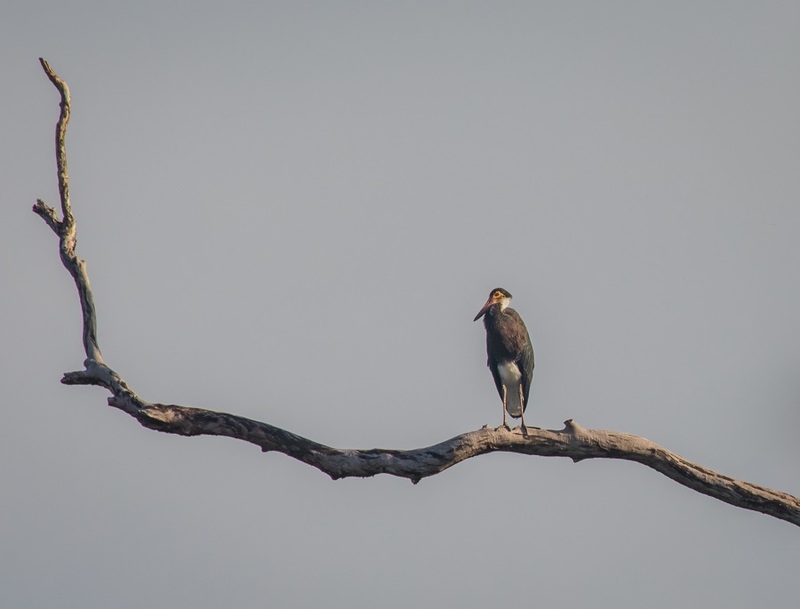 We loved our stay at KWR and felt the level of service and the wildlife tours were incredible. 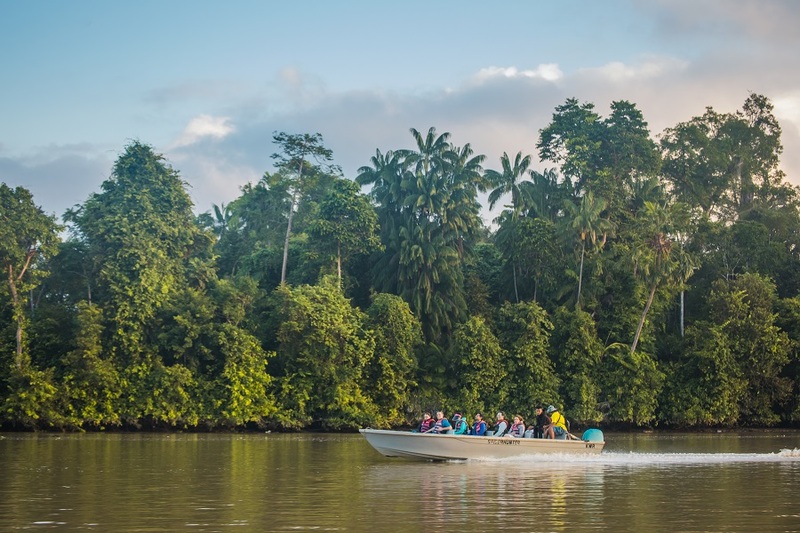 Due to its location on the Kinabatangan, there are very few boats nearby, and your tours are completely private. The boats accommodate up to roughly 8 passengers. The guides are excellent at spotting wildlife and are very knowledgeable about the animals and their behaviors. One thing that was unique to KWR was the evening river cruise. 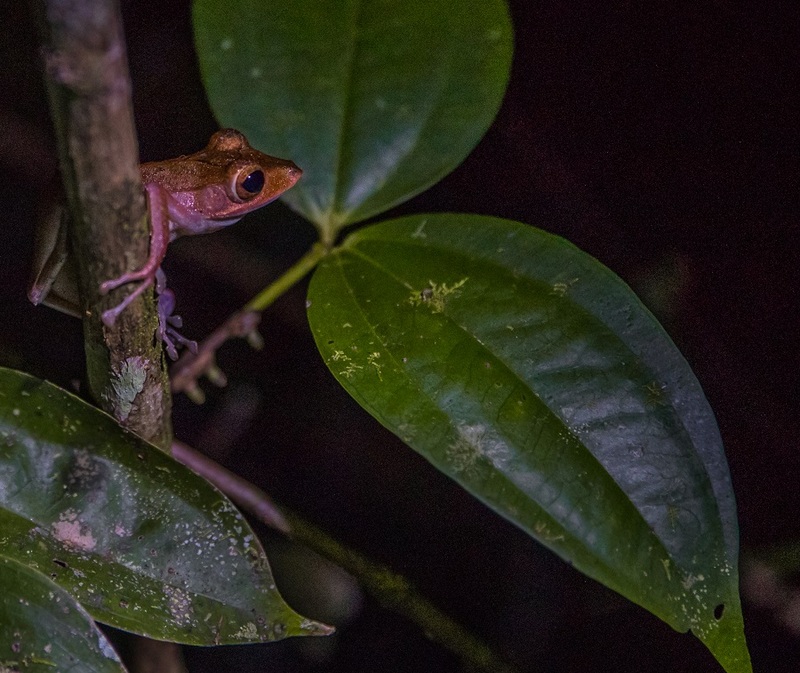 While we saw some exotic birds and crocodiles in the dark, we also went to an area of the river that is known for fireflies. The fireflies stay in the trees blinking like Christmas lights. 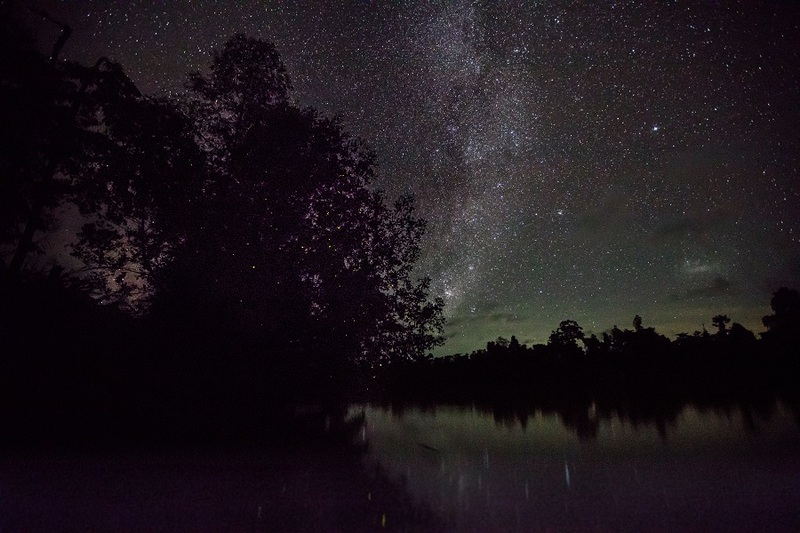 We shut all the lights off and enjoyed the beautiful milky way with the fireflies dancing in the night. We heard little about this from other blog posts and reviews at other resorts, so I think the fireflies are unique to the experience at KWR. 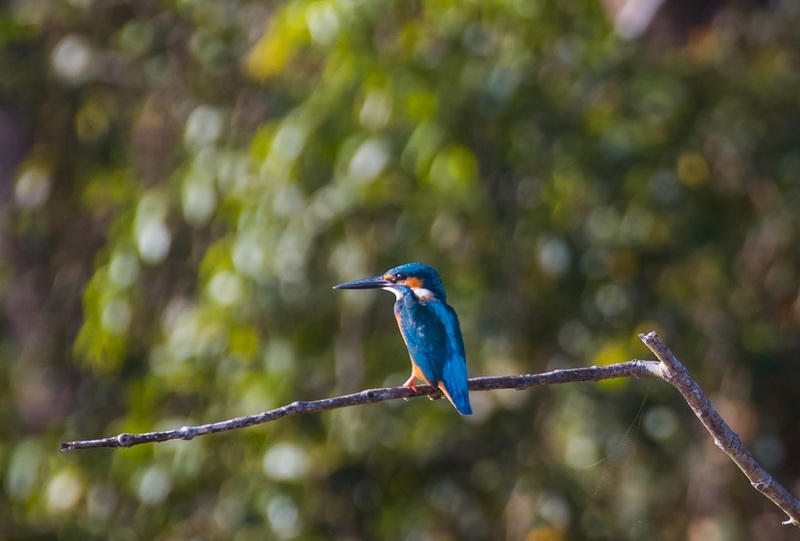 Overall, the tours are excellent and while there is a schedule, they do everything possible to accommodate you and make sure you see as much wildlife as possible. We never felt rushed or bored at any moment, and really enjoyed the company of JR and his team while on the boats or at the resort. Wildlife in nature is unpredictable. It is not always possible to see everything on your tour. 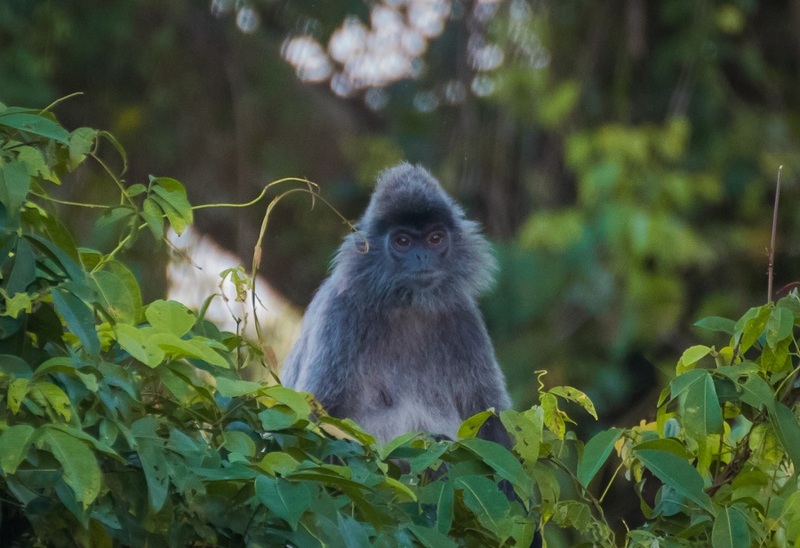 We did not see any orangutans on our tour, and while we heard a large group of pygmy elephants (nearly 40), we could only see a few in the distance through bushes and trees. There is wifi at the Kinabatangan Wetlands Resort, but the connection is quite slow. It is good enough to get emails and possibly post a picture online. The connection is only at the main building at the entrance of the resort, and not available at the rooms. There was no 3G phone service at the resort, but each day on the boat tours, you will go past the nearby village. The village has a phone tower, so you will get about 10-15 minutes of good service while passing the village each boat tour. The resort does an excellent job accommodating to dietary restrictions. There was typically 1 meat dish, 1-2 seafood dishes, 2-3 vegetarian dishes, and rice for each meal. Coffee, tea, and cookies are available the entire day. 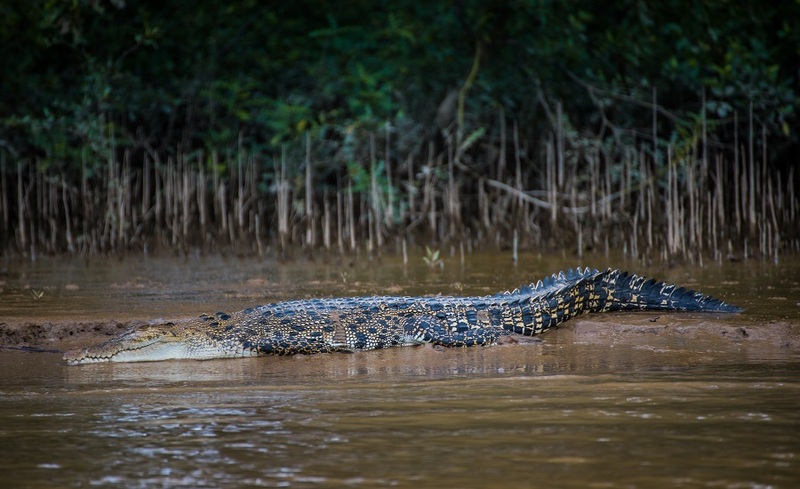 While you will see lots of wildlife on the tour, they can be far away from the boat. 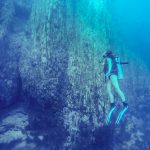 It is best to have a zoom or telephoto lens for your camera. Binoculars would be super handy. On the second day of tours, there is a quick stop to the local fishing village. We were able to buy giant prawns for 30 RM per KG and have the resort cook them for dinner. We purchased four giant prawns between three of us and it was the most delicious meal we had in Borneo. It is highly recommended to get some prawns. For the price and quality, this meal could not be beaten. Make sure to bring things for your boat rides! Zoom (telephoto) lens – we recommend between 200–400mm. Check out the Canon 70-200mm lens for the best quality you can get! In full transparency, we were provided a complimentary stay at the Kinabatangan Wetlands Resort in exchange for several of our services. We were NOT paid by KWR for this blog post, and we had no agreement on the outcome of our review. This review is 100% honest based on our experience.